A+E Networks Asia holds another biggest entertainment convention dubbed as HISTORY CON 2018, which will be held at the World Trade Center Manila on August 10-12, 2018. 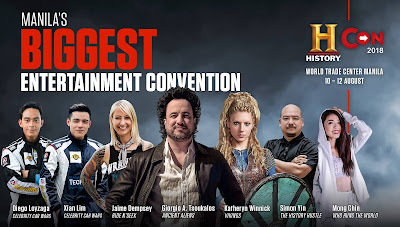 Giorgio A. Tsoukalos, leading contributor and Co-Executive producer of HISTORY’s hit series Ancient Aliens hit series will headline this year’s star-studded entertainment convention. As part of HISTORY CON 2018, the mega-convention will also include an exclusive special talk, a HISTORY Asia ‘LIVE’ Session themed “Mysteries of the Past with Giorgio A. Tsoukalos” to be conducted with limited slots available. HISTORY fans are invited to explore the unexplained with Giorgio A. Tsoukalos and examine some the world’s greatest mysteries about extra-terrestrial existence throughout history. This special talk will bring together truth-seekers and HISTORY fans on the discussion, debate and exploration up-close with the leading expert himself. Eligible ticket purchasers of HISTORY CON 2018 may request a slot to the “Mysteries of the Past with Giorgio A. Tsoukalos” ‘LIVE’ session with every purchase of the HISTORY Maker Pass (PHP 2,500) or HISTORY Maker VIP Pass (PHP 10,000). Katheryn Winnick of HISTORY’s Emmy-winning series, Vikings will make her first special appearance in Asia as the headlining international celebrity alongside Giorgio A. Tsoukalos of HISTORY’s hit series, Ancient Aliens. The star-studded extravaganza also include Manila’s favourite local celebrities Xian Lim and Diego Loyzaga starring in HISTORY Asia’s award-winning original automotive reality series, Celebrity Car Wars, Jamie Dempsey (Ride N’Seek), Simon Yin (Hidden Cities Extreme and HISTORY Hustle) and popular Singaporean social media influencer, Yeoh Mong Chin of LIFETIME Asia’s latest digital-first original series, Who Runs the World. HISTORY CON, the world-class entertainment convention is now in its third year instalment in Manila, which saw a record-breaking attendance of 68,800 people in 2017 and 50,000 people in 2016. Since the overwhelming response of Giorgio A. Tsoukalos’ first exclusive appearance at HISTORY CON in 2016, HISTORY fans have continually been extending the invitation for his return to the Philippines. In partnership with The Philippine STAR, A+E Networks Asia announced the stellar line-up of Filipino luminaries who will be honoured for their significant contribution to the nation’s life and culture with the HISTORY Maker Award. This year’s distinguished recipients are Victor Consunji, Jessica Soho, Lea Salonga, Nora Aunor, Christopher de Leon, Albert Martinez, Sharon Cuneta, Vilma Santos, Aga Muhlach, and The Philippine Azkals. HISTORY CON 2018 ticket purchasers are welcomed to join in the celebration to honour these extraordinary Filipinos at the award ceremony, which will be conducted on 11th August, the second day of HISTORY CON 2018. 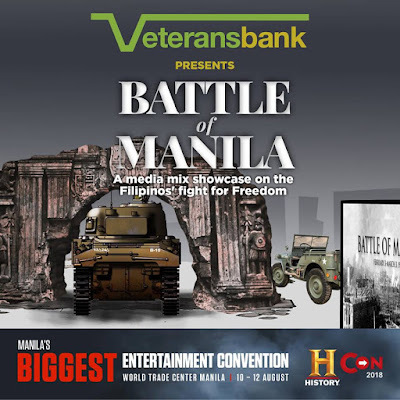 The biggest airsoft war game tournament in the Philippines. 3-Day tournament with local and international players. Inspired by the HISTORY original military combat hit series SIX. Design, build and program your indestructible Sumobot for victory! Join the ultimate Sumobot wrestle at HISTORY CON 2018. Steel shall clash as modern-day Knights engage in fierce duels in Forge: Martial Fitness' Knightfall Longsword Tournament! Inspired by the medieval warriors of old, our Knightfall Longsword Tournament will pit swordsmanship practitioners, wielding steel swords and garbed in modern armor, against each other, in a fight to claim the top spot and be proclaimed History Con's Knightfall Champion! Be part of the history. Witness and be one of the Knife fighters of the first reality based, Knife Fighting Tournament in the country. 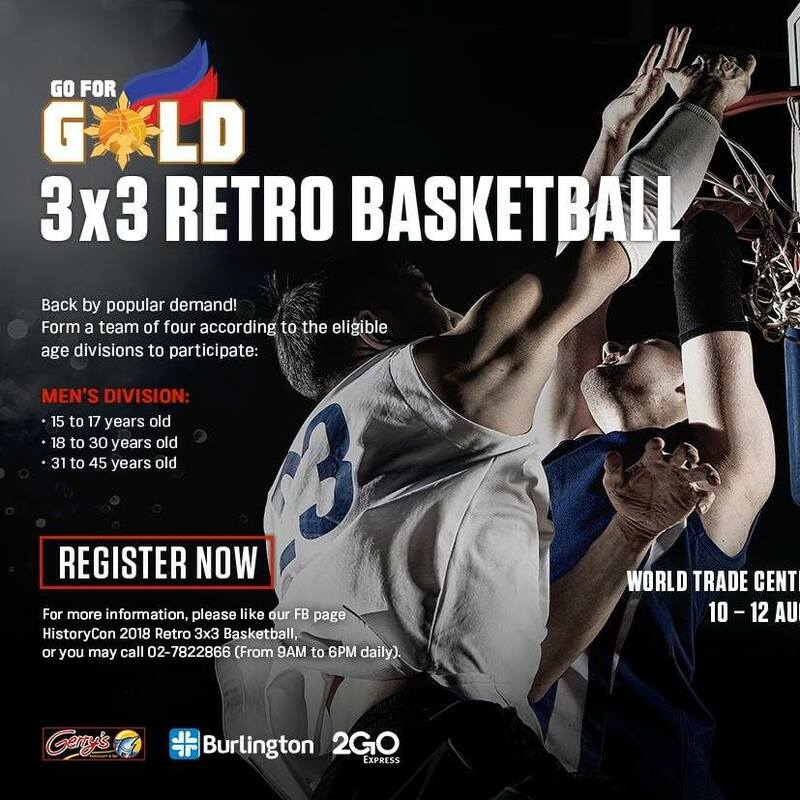 Join the high caliber FMA practitioners in the quest for Championship. Show them the best Knife Fighting Skill you’ve got. Calling all High School and College students, get ready to put your thinking caps and participate in the largest national inter-school competition in the Philippines at HISTORY CON 2018! Applications to HISTORY BEE 2018 is now officially open where contestants will be tested on the knowledge of History, Culture and General Information and one ultimate HISTORY BEE & GAMES Grand Champion will be named. Make your mark in HISTORY today! Juego Todo is a kind of no holds barred challenge match that gained infamy during the golden age of kali. 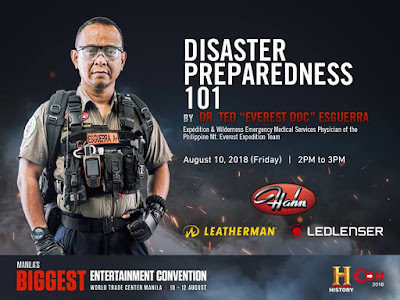 Its modern adaptation, the brainchild of fight promoter Ferdinand Abadilla Munsayac, burst into the local fight scene a few years ago, and will take its biggest stage yet at HistoryCon this coming August 11 2018.